Matthew Hays has written for the Guardian, the New York Times, and the Globe and Mail. When Luc Bourdon’s feature-length film, The Memories of Angels, was screened last fall at the Toronto International Film Festival, audiences sat in awe of the stunning collection of images of Montreal. There were shots of Parc Lafontaine in the summer, ships docked in the Old Port, and revellers taking in a Paul Anka concert. The film received rave reviews, and the National Film Board, the government’s storied film-producing institution, which turns seventy this year, touted it as another cinematic success. The film is an intriguing artifact. In making it, director Bourdon did not once employ a camera, nor generate any new images (beyond the credit sequence). Along with an editor, he pored over the nfb’s massive archives and chose hundreds of shots from previously made films from the 1940s through the 1960s, stitching them together to create a montage that is equal parts love letter to Montreal and ode to the nfb’s considerable achievements. The Memories of Angels, like another recent nfb film, the Oscar-winning animated short Ryan, looks back at nfb history. Memories is a reconfigured collection of shots from films by such masters as Denys Arcand, Arthur Lipsett, Michel Brault, and Claude Jutra. Ryan is an exploration into the work and life of the Oscar-nominated filmmaker Ryan Larkin, a former wunderkind who was found, a quarter century after his work had essentially stopped, homeless and broken. These films’ success begs an obvious question: is the nfb an institution that has nowhere to go but to look back to the glory days of its golden age? Like every other commissioner for the past couple of decades, Perlmutter, who took over the job in June of 2007, understood he would have to justify the nfb’s existence. He already had some related experience: since 2001, he had worked as director-general of the board’s English programming. Before that, he amassed considerable credits as a film producer, working on such series as Turning Points of History, The Sexual Century, and The Body: Inside Stories. During his tenure, Perlmutter became an unofficial ambassador for the board, talking up its record across Canada and abroad. The nfb, of course, holds an entirely unique position in the national cinema landscape. Unlike Telefilm, which offers government subsidies to privately funded movies and is seen as a way into the potentially profitable world of theatrically released features, nfb films, which are primarily documentary or animated, are often experimental in nature and not made with profit in mind. They are non-commercial, and while there may be economic spinoffs associated with their production and distribution, they’re not expected to become blockbusters. If defending the nfb is a familiar role for the person in Perlmutter’s job, it’s also an odd one. Put it this way: if you were a headhunter and the nfb were a candidate looking for a job, you’d hire that person in a nanosecond. Since its founding in 1939, the nfb has raked in a litany of awards (over 5,000), including twelve Oscars, citations at every major film festival in the world, and praise for its library from a legion of prominent filmmakers. George Lucas credits Arthur Lipsett as a major inspiration; Quentin Tarantino cites the wondrously strange 1996 documentary Project Grizzly as one of his favourite films of that year; and when I interviewed Gus Van Sant about the history of his life and work, he cited watching nfb films while in school as a formative experience. Thus the strange paradox that haunts the nfb: it is famous and revered in the international film milieu, while infamously obscure on its home turf. I recently conducted an entirely non-scientific survey, which confirmed my impression that not only do many (if not most) Canadians not get the nfb; they’re not even sure what it is. At one of Montreal’s busiest downtown intersections, the corner of Peel and Ste. Catherine, I stopped ten passersby to ask them two simple questions: what is the nfb, and can you name an nfb film? Five drew a blank; one guessed that the nfb was a financial institution; four correctly identified the nfb, but only three could name an nfb film. A small sampling, certainly, but the results are telling. It is precisely this obscurity that has allowed successive governments to cut the board’s budget, curtailing its creative reach. While there have been various nips and tucks over the decades, the cruelest and most epic came in 1996, when the Liberal government made eradicating the federal deficit priority number one. The nfb’s government allocation was slashed by a whopping one-third, meaning it received around $65 million a year. The nfb was now in a very difficult position. It had less money to work with, but sensed that if it didn’t produce real evidence that it was reaching bigger, broader audiences, its funding could be cut even more radically. So it did what any exposure-starved film-producing organization would have done in the mid 1990s: it shifted its emphasis to television. If more nfb films found audiences on TV, it could vastly extend its reach and thereby prove its relevance to the Canadian public. That was the theory, in any case. In practice, the strategy was almost catastrophic. 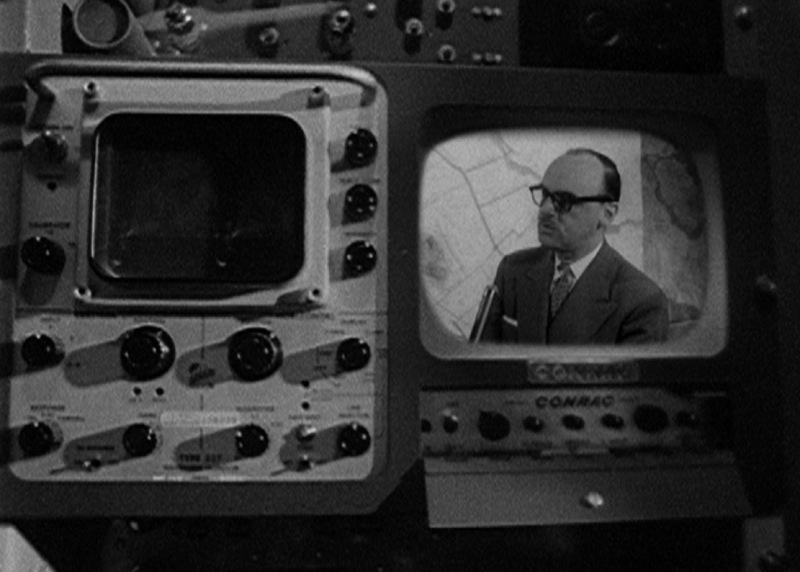 The nfb had had a fraught relationship with broadcasters since the 1960s, when it began making more daring forays into social-issue filmmaking. In a pre–Michael Moore world, many of them viewed the board’s films as overly personal and biased. In 1982, for example, Montreal filmmaker Terre Nash made If You Love This Planet, a short documentary that captured the lecture of no nukes crusader Dr. Helen Caldicott. The film was branded propaganda by the Reagan administration, a view shared by the cbc, which refused to screen it on the grounds that it didn’t show both sides of the argument. (Caldicott questioned this critique, saying that they’d have a hard time finding someone in favour of nuclear war.) Eventually, the film won an Oscar, and the cbc, bowing to pressure, had a change of heart. Four years later, in 1986, the nfb produced the documentary miniseries Reckoning: The Political Economy of Canada, an examination of our business and political relations with the world, particularly our main trading partner, the United States. Again, the cbc refused to screen the series, citing its bias. This put many Canadians, whose tax dollars paid for the production, in the odd position of having to tune in to pbs to see it. In September, one of the nfb’s co-productions, Examined Life, premiered at the Toronto International Film Festival. The film is an entirely unique meditation on the thoughts of some prominent philosophers, including Cornel West, Martha Nussbaum, and Judith Butler. After the screening, during a Q&A session with the audience, filmmaker Astra Taylor marvelled at the nfb and the freedom she was granted while making her documentary. “I don’t know where else in the world I would have been able to make this film,” she said enthusiastically. The audience burst into applause. The nfb has won the support of a group of Toronto philosophy enthusiasts. Now, if only it could reach the other 99.6 percent of the Canadian population.